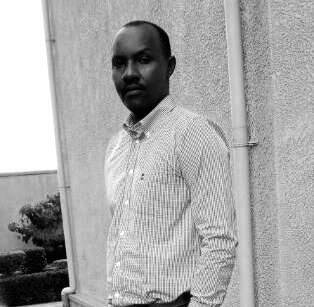 Uganda security organs have kidnapped a Rwandan national and his family told Taarifa Wednesday evening that he might be killed or tortured to death. Rene Rutagungira (pictured) a Rwandan retired army sergeant, who lives in Uganda with his family, was kidnapped by armed security operatives on Sunday morning (2: AM) from a local pub known as Bahamas in Mengo suburb of Uganda’s capital. Footage obtained by his family from the pub and reviewed by Ugandan police; indicate the kidnappers were dressed in Ugandan army uniform. Bar attendants told his family that the kidnappers stormed the bar and the team leader identified himself as captain. Immediately, Rutagungira was put on gunpoint and whisked away in a Toyota Primo, a sedan car with registered number plate UAT 694T. His friends and bar attendants remained numb and in shock. His wife, Jacinta Dusengeyezu, was informed by his friends about her husband’s kidnapping. She then reported to police and made a statement. When she mentioned that she was told her husband was kidnapped by army intelligence agents, the police closed the chapter. “They told me that it is the work of ISO (Internal Security Organisation) and CMI (Chieftaincy Military Intelligence) and that they can’t be of any help,” Dusengeyezu told Taarifa. Dusengeyezu and Police reviewed CCTV footage. She produced the footage before Uganda’s police, but police declined to help. His family sought help from media. Meanwhile, his wife reported the case to Uganda’s Daily Monitor Newspaper on Monday, August 8, but her story, she says, has been twisted and facts distorted. Dusengeyezu is disturbed that Intelligence security organs are spinning the case through media that he was instead kidnapped by Rwandan operatives for political persecution. Yet, sources close to Taarifa say Rutagungira is a family man who lives and does business in Uganda. He freely and regularly visits his relatives in Rwanda. His brother, Erick Rutagungira, says Rene Rutagungira has no case and last visited Rwanda in July, from 23rd to 27th this year. The Rwandan Embassy in Uganda told Taarifa that they are aware of the case and are closely following it up with Ugandan authorities. We checked his Facebook account. He last posted on his wall in 2013 a photo of President Kagame with his escorts.